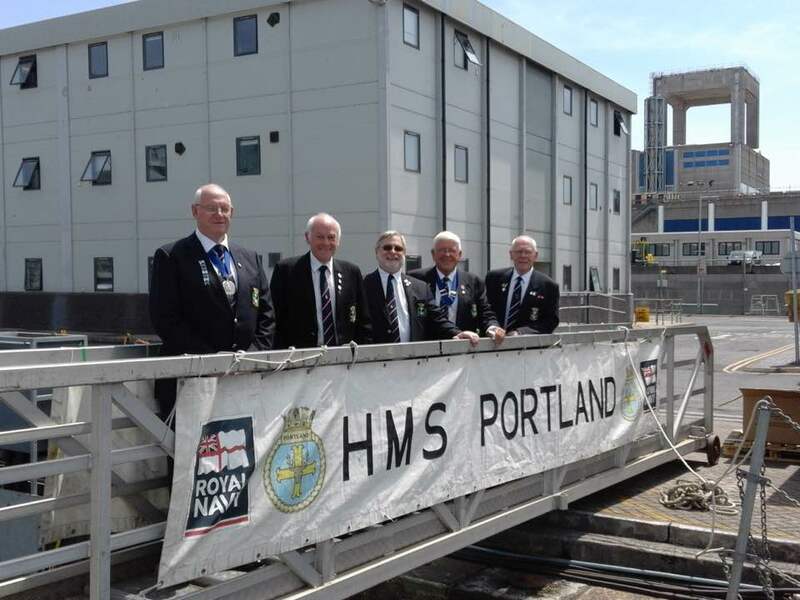 Shipmates were given VIP treatment on their visit to HMS Portland. 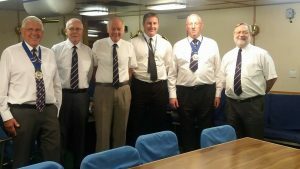 A day before Captain Stroude left the ship for pastures new and prior to the ship going into a long refit. 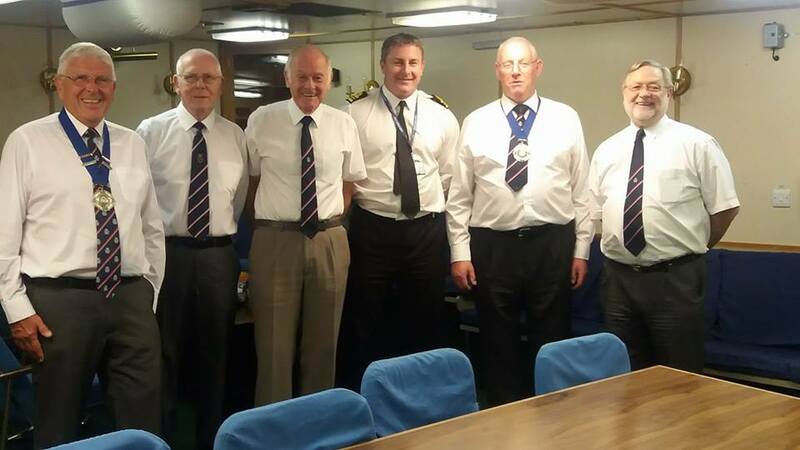 Our Shipmates had a lovely lunch as guests of the Captain and Logistics Officer Andy Parker. The reason for this visit was to collect the Portland Plate, endowed to the ship to be presented to a member of the ships team annually for outstanding performances. 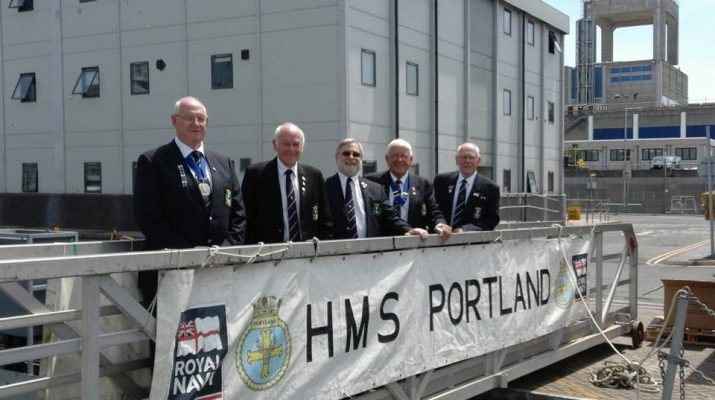 The Plate will be returned when the ship comes back out of refit. 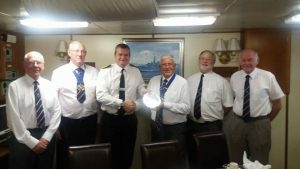 Collecting the Portland Plate from Captain Stroude.